A peaceful countryside family escape with luxury apartments and sensational views. Part of our Tots Exclusive Experience collection, we have added a bunch of extras to guarantee family holiday happiness. Children's activities run by Tots Playmakers, in room play corners bursting with fun stuff to play with, daily breakfast, specially designed children's bedrooms and all the key kit you want for your under fives will be ready and waiting for you. It is the ideal base for discovering pristine sandy beaches and picture-perfect villages close by. Or simply letting time stand still and savouring family time at this luxury holiday retreat. 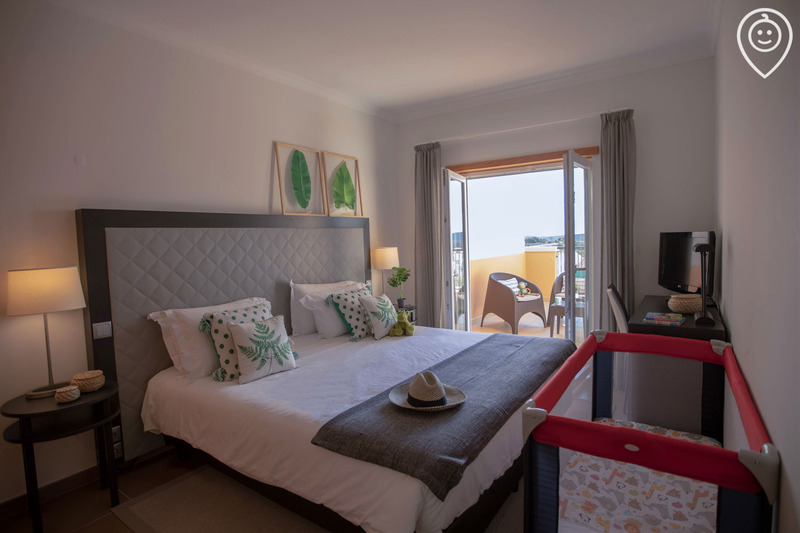 We had an amazing stay at Vale da Ribeira Residences. The villa was great and very spacious. All of the toddler kit was fantastic, great condition and kept our little one happy and safe. Perfectly easy, carefree holiday. Everything we needed, nothing we didn't. The best family time. Really enjoyed our time at Ribeira, the villa’s and site was immaculate and felt luxurious. Staff were so helpful and friendly it really made the difference. Was very quiet when we went I’m guessing because it’s the first year, do wonder how the pool space will work when it’s busier. Had a list for children’s activities but didn’t really see anything going on although maybe that is because it was quiet. All in all a fab place would definitely go again. We loved every moment of our holiday in this lovely part of the world. The staff were excellent and couldn't do enough for us. A really friendly and family orientated resort. I would also recommend doing a shop at the supermarket in Lagos. Whilst the on site shop is fantastic there are understandably limited food choices both at the shop. I must reiterate again how brilliant the staff were and how gorgeous the residences were. We’ve just returned from 2 weeks at Vale Da Ribeira and we enjoyed it so much we’ve already booked to go back next year. 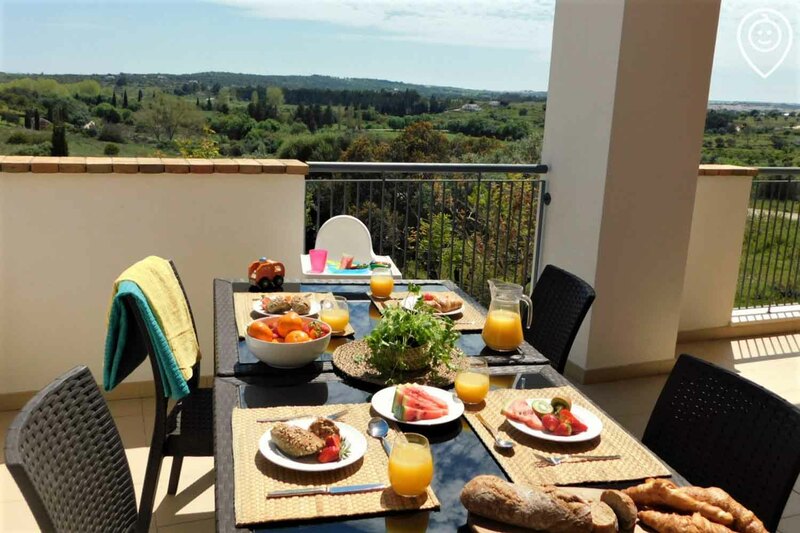 The location is great; it is very peaceful and off the beaten track yet it’s within easy reach of numerous beach resorts such as Alvor and Luz as well as the bigger towns of Portimao and Lagos. 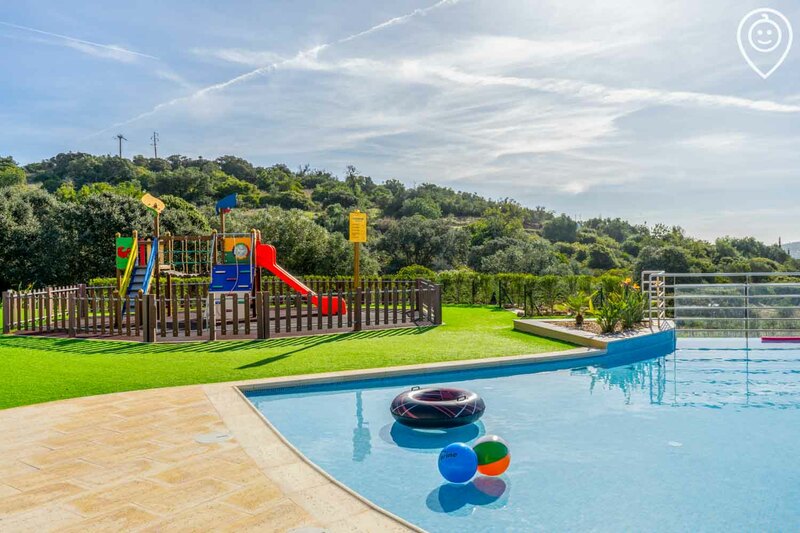 The waterparks are within half an hour’s drive and it’s an easy drive from Faro airport. We found the apartments themselves had everything we needed. They were very spacious and spotlessly clean. They were really well-equipped with everything we needed including a dishwasher and washing machine. The terrace was lovely and gave great views across the countryside towards the sea and the city lights of Lagos. The staff at Vale da Ribeira could not have been more helpful and welcoming and the activities they offered were great. The children were kept entertained during the day with mini-disco, junior archery and bowls and a swimming pool obstacle course. The pool and adjoining café were fabulous with a lovely location and great views. The children’s pool is right next to the adult pool as is the playground. 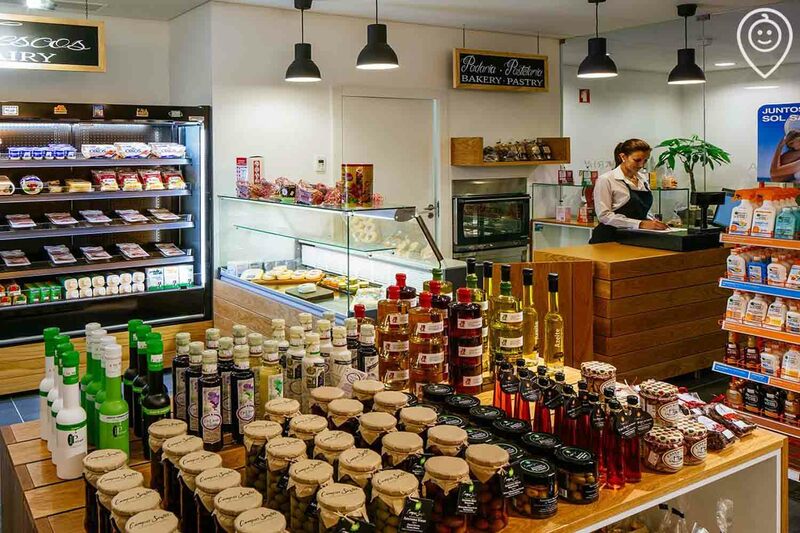 Other than that the reception area has a grocery shop and café which are very useful for the occasional pastry treat or essential groceries when you arrive. So all in all we had a great holiday and can’t wait to go back next year! The whole apartment was clean, fresh and spacious and could not fault it in any way. 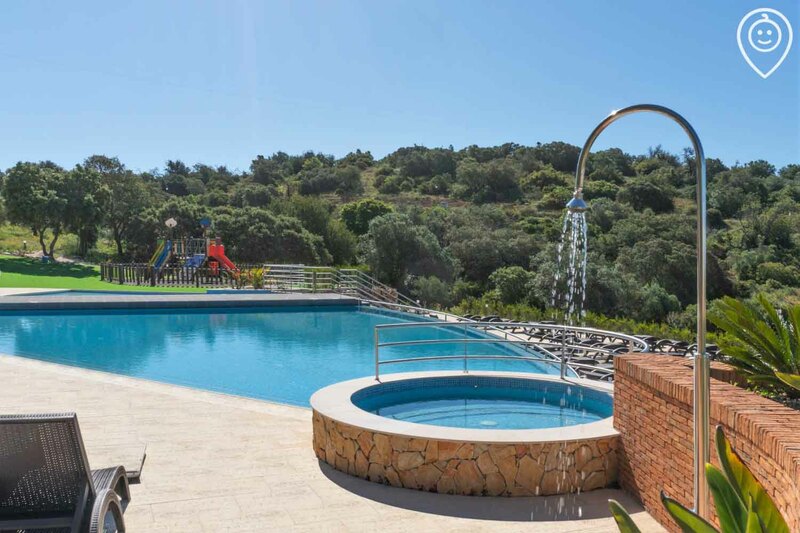 The pool was the perfect place to relax as well as being particularly child friendly with its graduated steps leading in to it and two shallower areas for our toddler to play. It was also surprisingly never too busy despite the number of apartments on site. Staff were helpful and friendly. 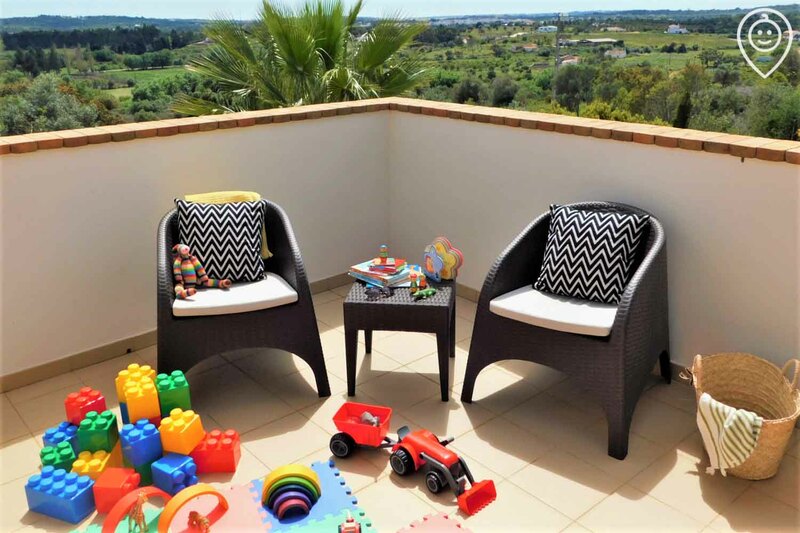 Having seen Tots to Travel on Facebook, and heard from our neighbours that they had booked and it sounded great, I took the plunge, called and booked a villa in Portugal on a complex that was just refurbished. From the moment we arrived, we felt so at home. 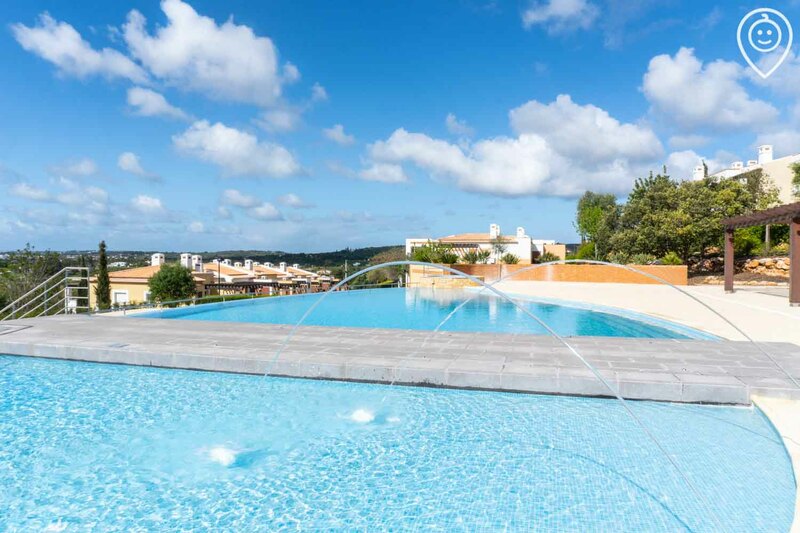 I can honestly say I have not met such a lovely team and been so looked after as we were in Vale da Ribeira Residences in the Algarve. Our two bedroom villa was spacious, light, spotless and the only issue we had with our fridge was dealt with quickly and did not impact our trip. The wrap around balcony was amazing, the view spectacular and the entire experience just fabulous. I would not hesitate in going back! There is a small "shop" in the reception which was useful - mostly for the freshly cooked croissants every morning! It was not cheap, but it was useful. The pool was lovely, not deep so pretty good for the kids. Nice area. Pool bar not really used as we had beers and cold wine in our fridge! I have no complaints at all - we had a fabulous 2 weeks in Portugal and Vale da Ribeira was the ideal base from which to explore!!! LOVED IT. 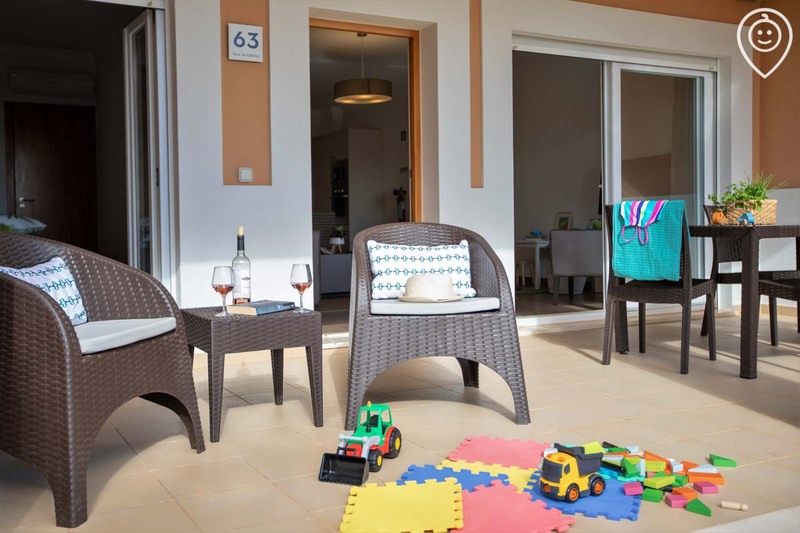 A great family friendly resort with a lovely pool and well equipped apartments/ villas. Activities going on too if you want to take part in archery, baby disco, Zumba or aqua fit amongst others! Easy driving distance to some nice beaches and Lagos centre. 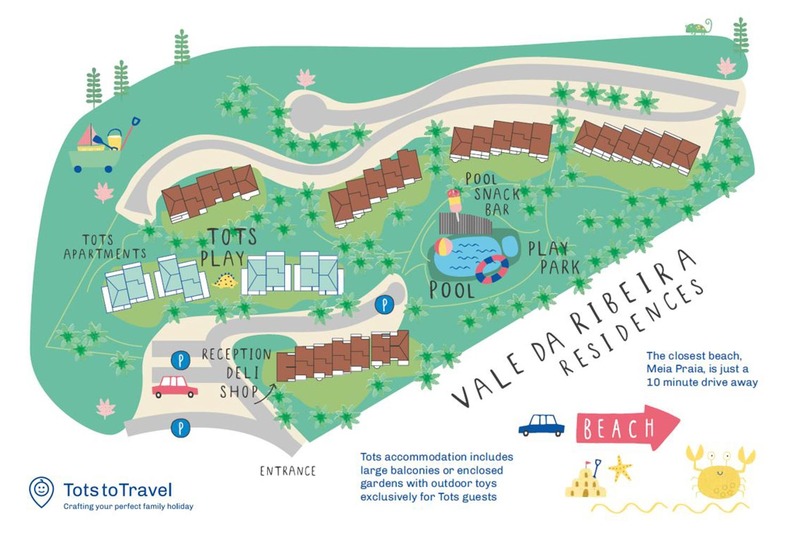 We know that happy children equals happy, relaxed parents so we've added our Tots touches at Vale da Ribeira Residences to ensure families with under fives really can reconnect and recharge. Our energetic Playmakers are here to play! With a ton of games and activities up their sleeve, these stay and play sessions are super popular. 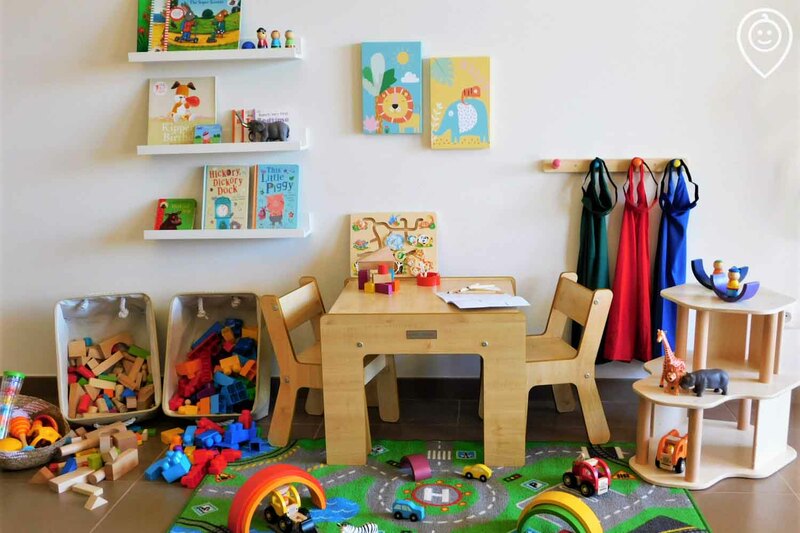 Each Tots apartment has an area dedicated to play. We've handpicked a range of indoor toys, books and games that little ones will love. 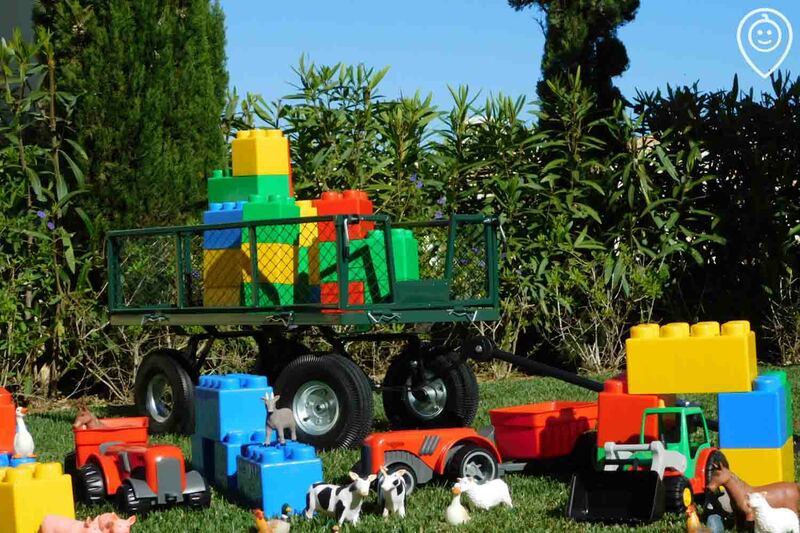 From sensory baby toys to role play and construction, there's something for everyone. Tots apartment come fully equipped with our unique kit, including 20+ key baby and toddler items such as baby monitors, cots, potties and sterilisers, meaning you can pack light. 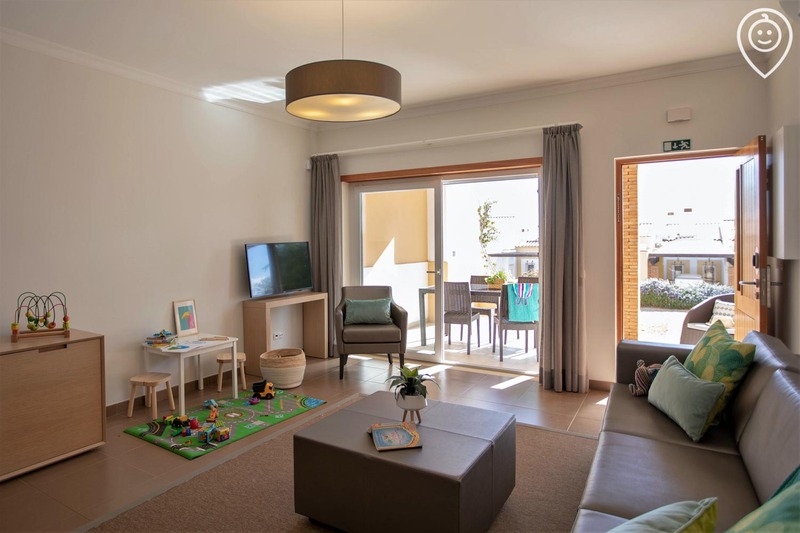 Perfectly placed right next to the main pool and playground so that Mum and Dad can keep an eye out, and with a gently sloping entry, little ones will love popping into the kids’ pool for a paddle or a splash. The colourful kids’ play area is sure to be a hit with your tots. Safely fenced and gated for parent peace of mind, little ones can enjoy clambering, sliding and exploring to their heart’s content. If you fancy an evening out without kids in tow make use of the excellent babysitting service and enjoy some time together. 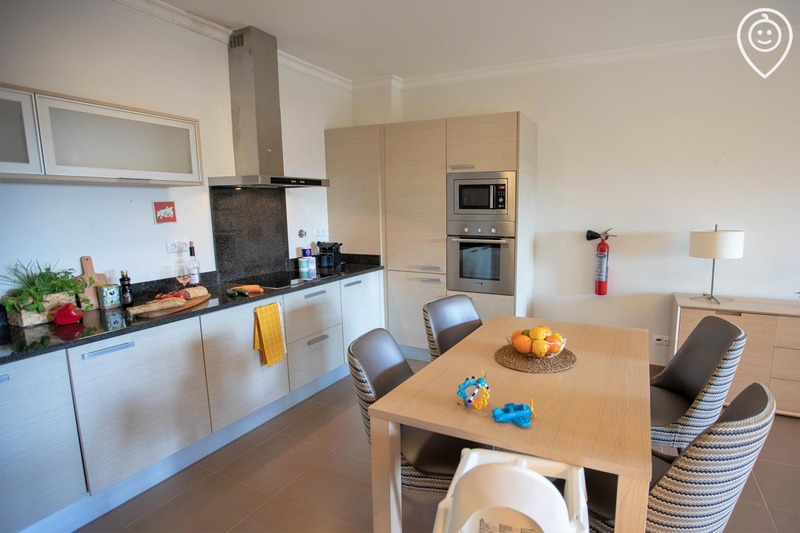 With fully-equipped kitchens in your accommodation, you have complete flexibility to eat what and when suits your family. But there are plenty of other options too, including the Tots breakfast which is included in the price of your stay. A delicious daily breakfast is served at the snack bar, just for Tots Exclusive Experience guests, with plenty of options for children. You can also book a 3-night dinner package too. Enjoy the flexibility of cooking whenever you like, using your fully-equipped apartment kitchen. Visit the handy on site supermarket for picking up essentials, or the local supermarket, just 10 minutes' away. Fancy cooling down with a refreshing drink? The relaxed pool bar offers a great selection of light meals, juices, smoothies and colourful cocktails, many made from locally sourced ingredients. Offering authentic Portuguese coffee and freshly prepared pastries such as the beloved traditional ‘Pastel de Nata’. 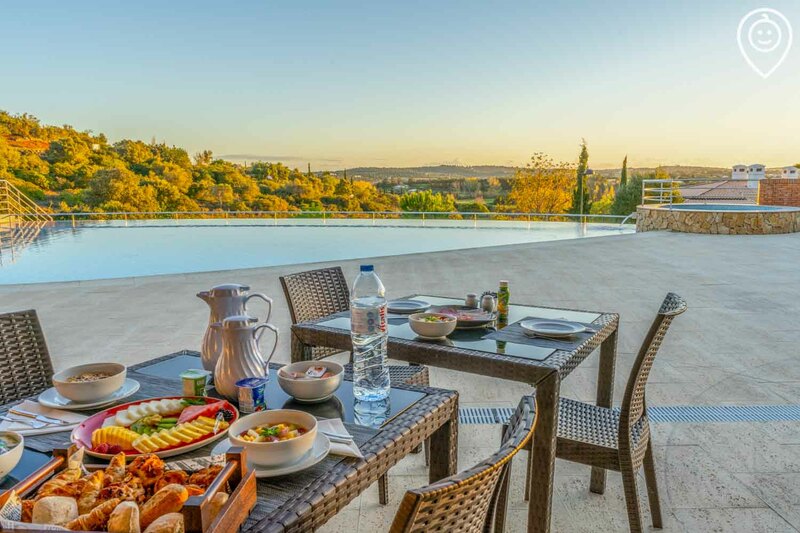 If you’d prefer to eat out, head to one of the many beautiful nearby local villages or towns, where you’ll find plenty of family friendly restaurants and cafés to choose from. 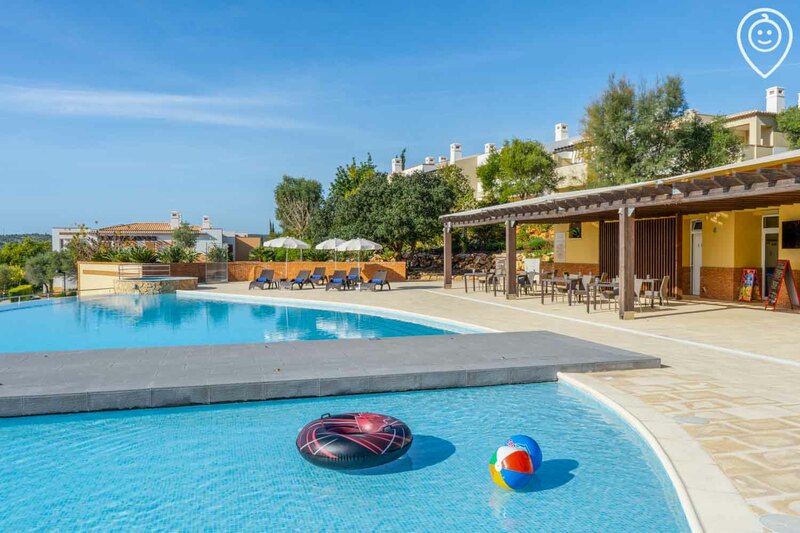 Choose to stay on-site and enjoy the resort’s fabulous pool, play park and grounds, or head further afield to explore the beautiful nearby beaches and fun family day trips, all available within the local area. With breathtaking countryside views, the inviting pool is the perfect spot for reclining and relaxing. With the kids’ pool just next door, it’s also easy to keep an eye on your little ones. There are lots of great family friendly beaches nearby, including ‘Meia Praia’ - just a 10 minute drive away, this 4km sandy sanctuary, with warm shallow waters, has plenty of room for beachy fun. From fitness classes and watersports, to golf and water polo, sports enthusiasts will find plenty to keep active. Why not make use of the babysitting service whilst you enjoy your workout. 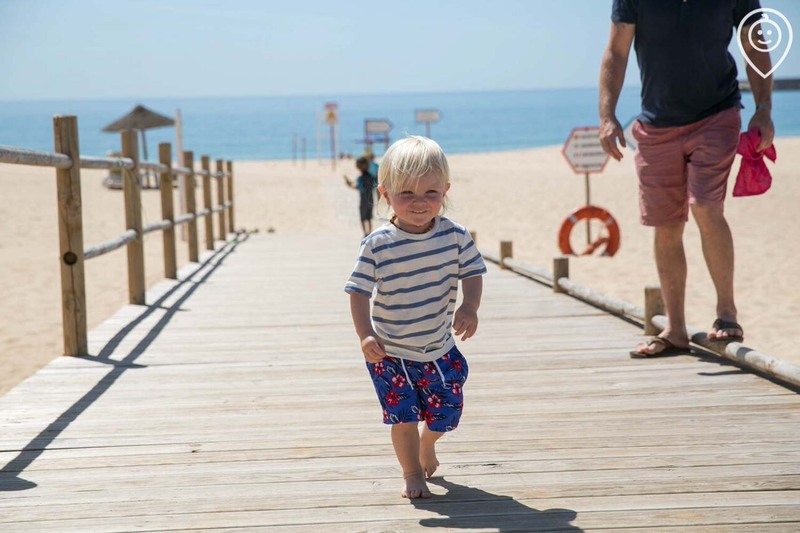 Jump in the car to discover the Algarve with the family, ideal days out for young kids – include ‘Zoomarine’, Lagos Zoo, The Science Centre, dolphin watching trips and much more. 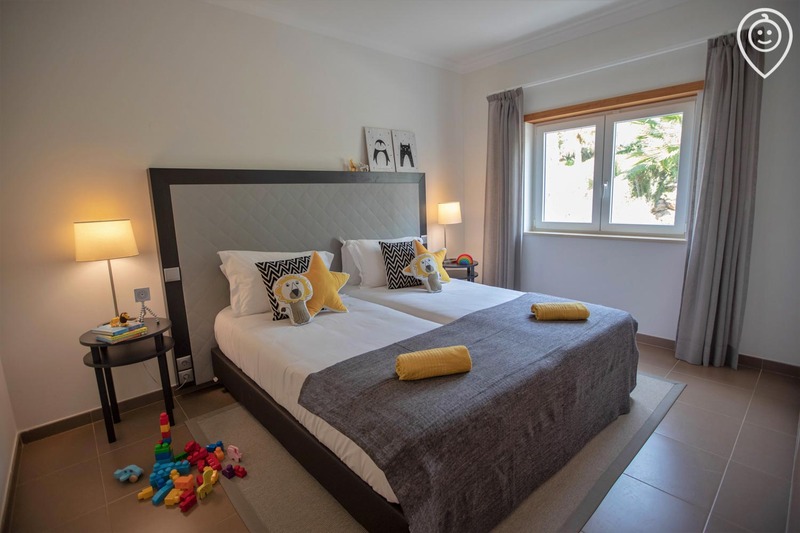 Tots Exclusive Experience apartments have all the space and flexibility your could ask for and are all located in one area, meaning you will be holidaying alongside like minded families. From blackout blinds to blenders, and a stack of toys, we've made sure every Tots apartment is fully equipped with all the key kit you want for your under fives, so you can travel light and settle straight in. Lagos Zoo and much more!